“Companionship” is a home care term that reflects on the needs of an independent patient as well as the qualifications of the Aide. 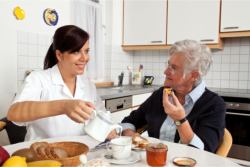 Personal Care is a home care term frequently used to reflect the patient’s needs for hands-on assistance. Such assistance may be for feeding tasks, for example, or for ambulating, medication reminders, incontinence, oxygen dependency, and other. Our staff is dedicated to help with all the above listed tasks that a Companion/Aide typically performs, in addition to providing the personal or hands-on care. 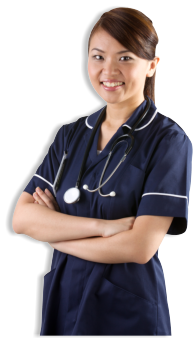 Amicasa Hospice & Home Care trained and credentialed personnel include Certified Nursing Assistants (CNAs), Licensed Practical Nurses (LPNs), and Registered Nurses (RNs). For personal care assignments, an Amicasa Hospice & Home Care RN heads a team of compassionate and closely supervised CNA caregivers to deal with all ADLs (activities of daily living), including personal care.